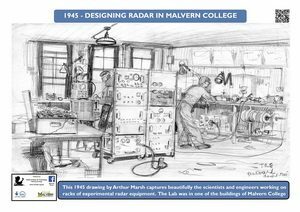 This poster is from an exhibition developed by MRATHS (Malvern Radar And Technology History Society) and sponsored by MHDC’s Route to the Hills initiative in Summer 2016. 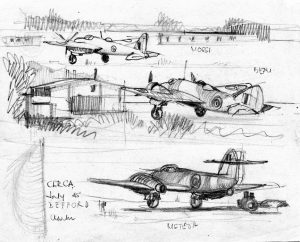 His career was spent in the Airborne Radar Department where he started during the War, and then remained until his retirement. He had the dual distinctions of being known to all as a genial colleague and social companion (not something that could be said of some! ), and as a talented artist. 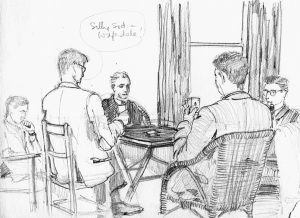 Being one of many hundreds of incomers to wartime TRE, he first lived in Malvern College’s House 5, later moving to the Geraldine Staff Club before becoming married. 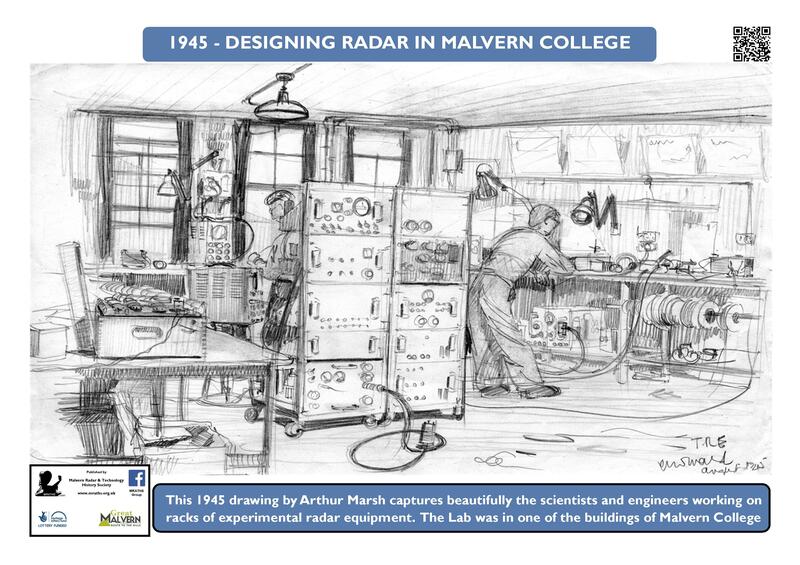 Arthur became a highly skilled designer of the ‘black boxes’ of electronic circuitry found in airborne radar systems. As well as featuring clever circuit design, his designs could be distinguished externally by the influence bestowed by his artistic talents – they had a neat and tidy layout of external controls and indicators, enhanced by immaculate hand-drawn labels and lettering. He is the only “Unofficial TRE Resident Artist” known to MRATHS. 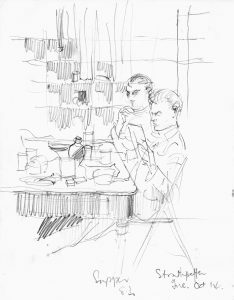 We are extremely lucky to have his sketches and drawings as they brilliantly capture the essence of life at TRE in the 1940s.